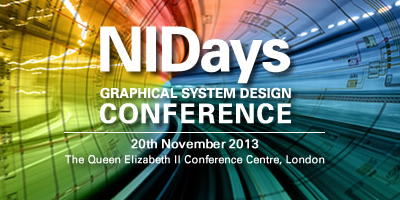 Simplicity AI have announced that they will be exhibiting at the NIDays 2013 technical conference and exhibition in the Queen Elizabeth II Conference Centre, London on 20th November 2013. The NIDays conference is a multi-track event featuring keynote presentations, technical sessions delivered by industry experts and hands-on workshops. Members of the Simplicity AI engineering team will be available at stand number 5 in the Whittle room to describe the flexible product and service offerings, and explain how they help their customers achieve technical objectives, meet deadlines and reduce costs.